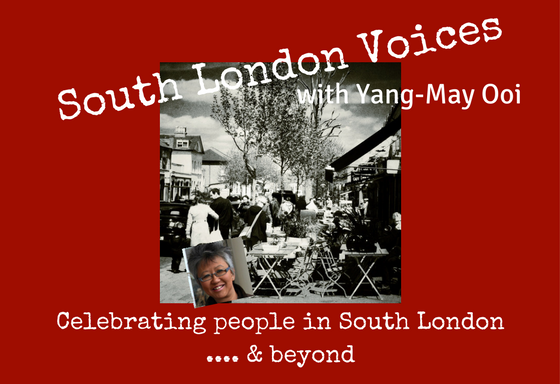 I am developing a new podcast celebrating people in South London and beyond – suitably titled South London Voices. I have lived in South London for over 18 years and in that time, I have come to know many talented, creative and lovely people. My idea for the podcast is inspired by them – and also by the vibrant, diverse and interesting area I live in South of the Thames. My aim is to invite onto the South London Voices podcast a range of interesting people who live and work in South London to talk about what makes them tick and what they love about the area. I have a list of folk I already know whom I will be approaching to appear on the podcast – writers, musicians, entrepreneurs, film makers and more… And as the podcast develops, there may also be the chance for open submissions from other South Londoners to be featured on the show. South London Voices is a podcast celebrating people in South London – and beyond. The podcast is hosted by creative actionista Yang-May Ooi and produced by TigerSpirit.co.uk.